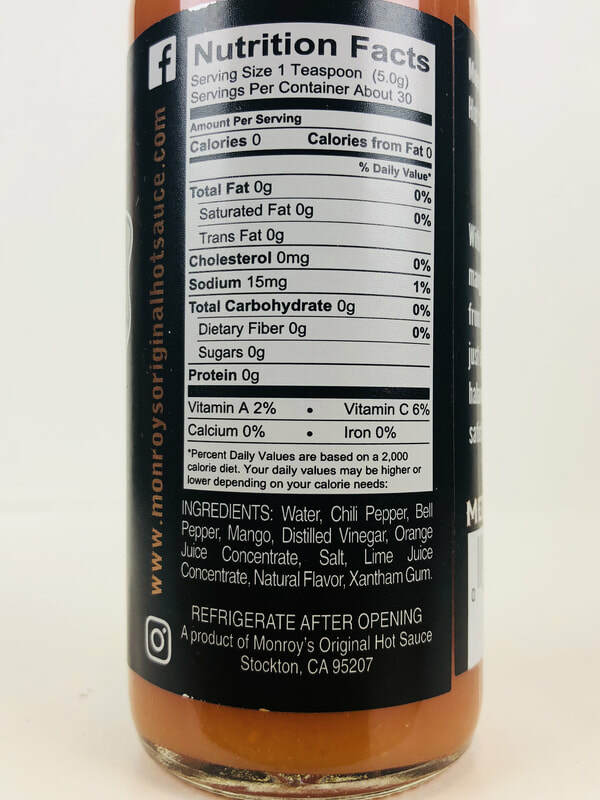 MANGO HABANERO from MONROY'S ORIGINAL HOT SAUCE.. The flavor of this hot sauce is FANTASTIC! 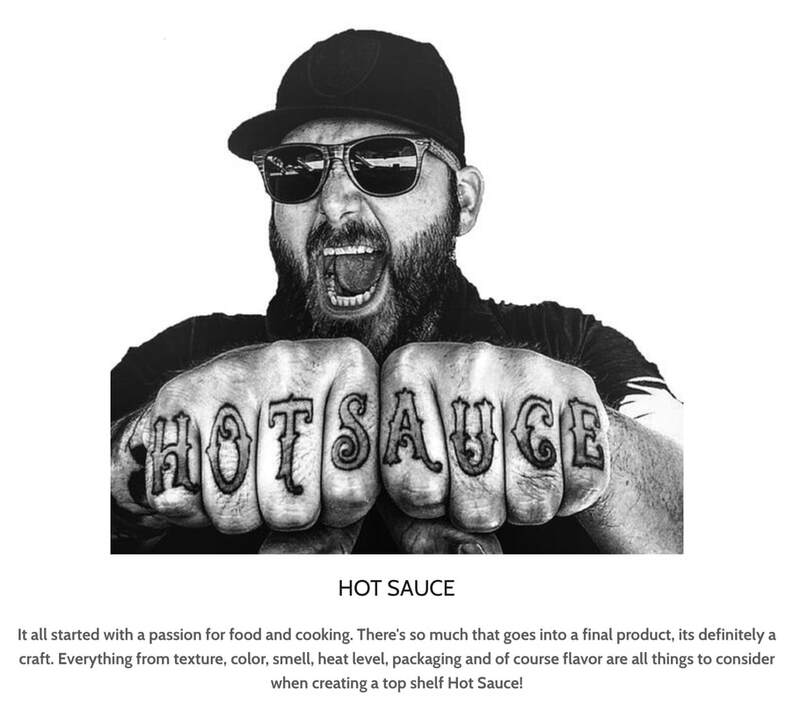 Enrique Monroy has crafted a hot sauce you will definitely want to get. The flavors are blended together just perfect without over shadowing each other. You get the taste of mango, orange, habanero and just a splash of vinegar. The only sweetness you get is from the mango and orange juice, so this is not a sweet kind of hot sauce. You can see the pieces of mango in every sponful. 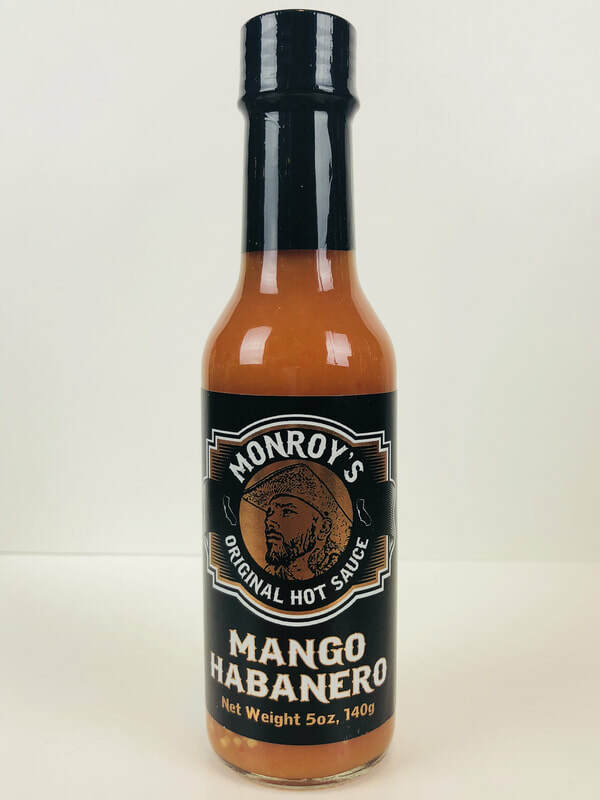 Not only does Monroy's have fantastic flavor, but the heat is right on with a great long lasting burn. Because of the great heat and flavor this would make a awesome hot wing sauce, or pair well with any kind of food. 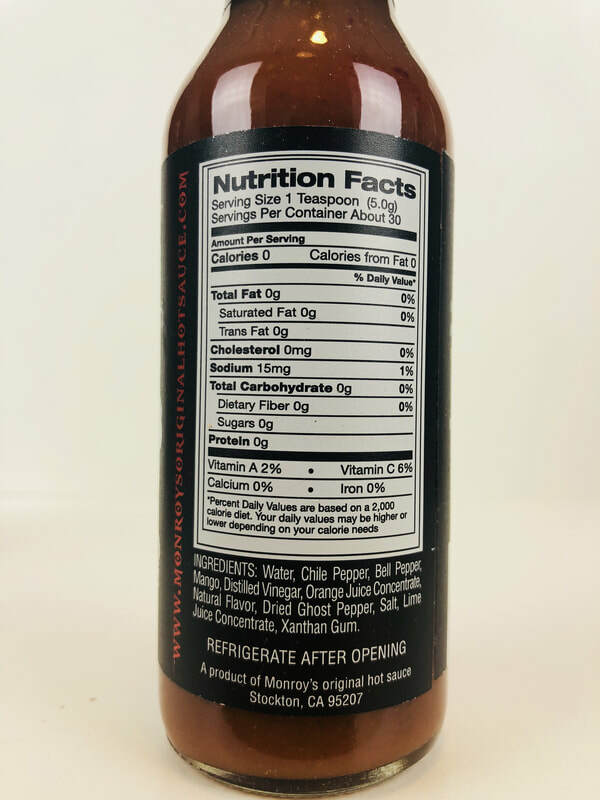 This is a great all around hot sauce you will love! 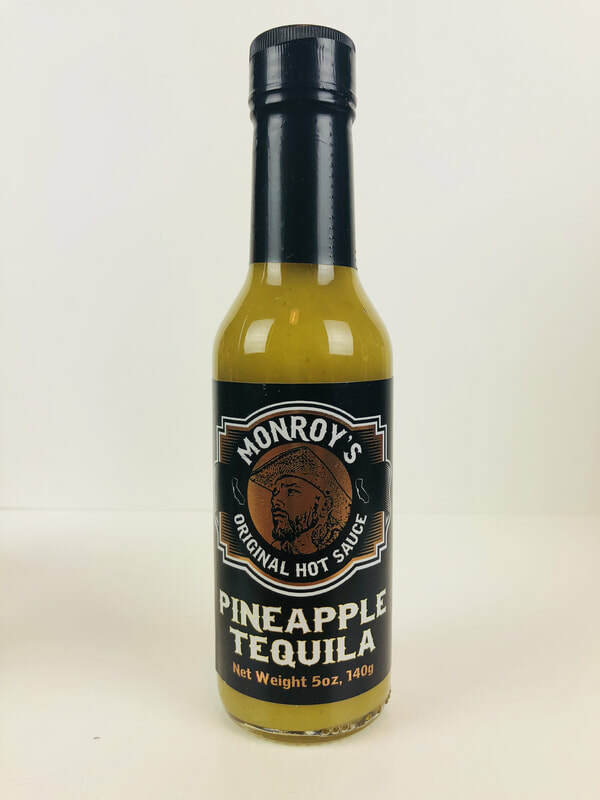 PINEAPPLE TEQUILA from MONROY'S ORIGINAL HOT SAUCE.. When you first open this hot sauce the aroma of fresh pineapple will hit you as your mouth begins to water. As soon as I tasted it all I wanted to do was make some fish or shrimp tacos. 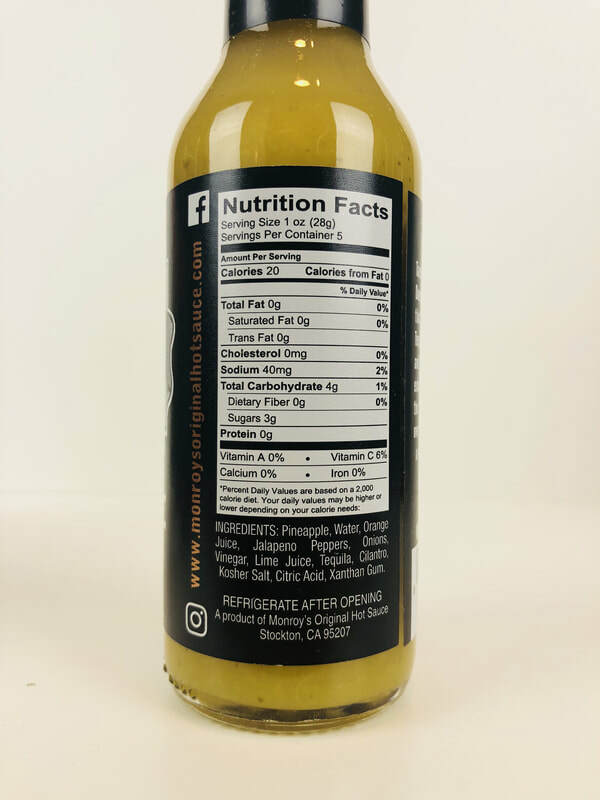 This is the best pineapple hot sauce I've had to date! The taste of the pineapple is fresh and bursting with flavor. The added orange and lime juice adds to its greatness. The addition of onion, vinegar, tequila, cilantro are in the background but still adds the right touch to its awesome flavor. There is a slight amount of flavor and heat coming from the jalapeño that mixes with the rest of the ingredients perfectly. Amazing job Enrique, this is a spot on winner in my book! Totally love this sauce! 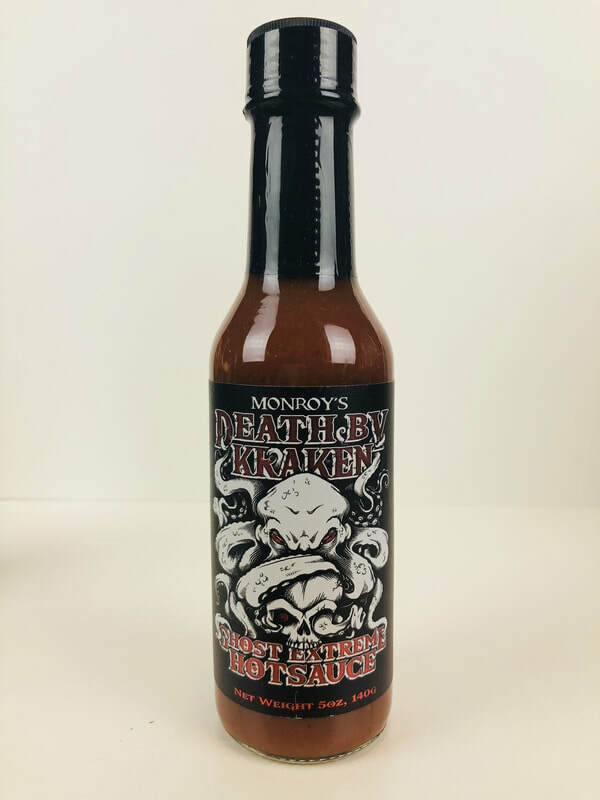 DEATH BY KRAKEN from MONROY'S ORIGINAL HOT SAUCE.. Get ready to get fired up by the Kraken! My nose is running from the heat of this sauce. It has a slight smoky chile pepper flavor with a twist of ingredients that gives this sauce a wild flavor. Bell pepper, Mango, vinegar, orange juice, salt and lime juice. Then the the kicker of heat comes from the addition of he dried ghost pepper! The mango adds just a hint of sweetness that you will find in the background. The more I use this sauce the more I like it. Pizza, wings, any red meat as a steak sauce, chicken, pork or just pour it on anything you want. What an amazing different style of sauce. Great job!